Set your first steps in the world of hydraulics. How does this equate to fun? Children will have total command and visual manipulation using the science principles of a hydraulic system and its application. Easy to follow instructions with detailed graphic illustrations pave the way for successful and satisfying kit building (229 pieces in total). Complement your engineering, maths, science and technology learning strategy. 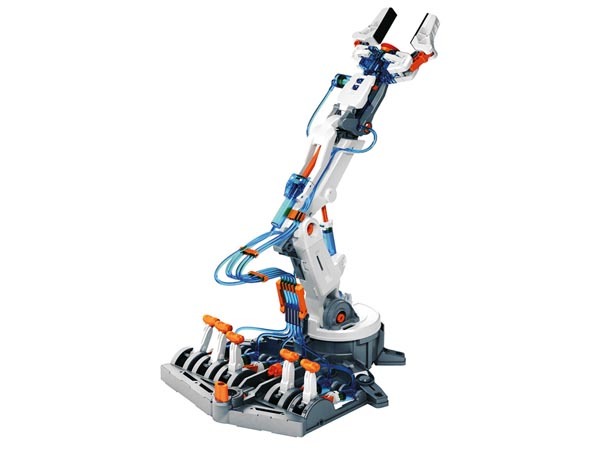 No battery or motor required: it is entirely powered by water; hence, the Hydraulic feature and how it manipulates axes movement via lever controllers. 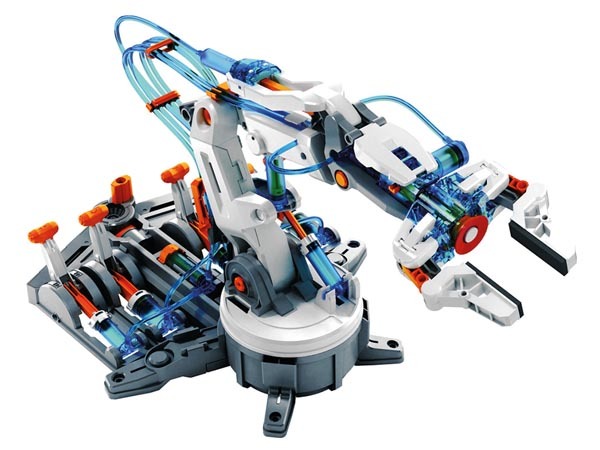 The Hydraulic Robot Arm is recommended for ages 14 and up, but with its 229 assembly parts, it will challenge the beginner engineering enthusiast.